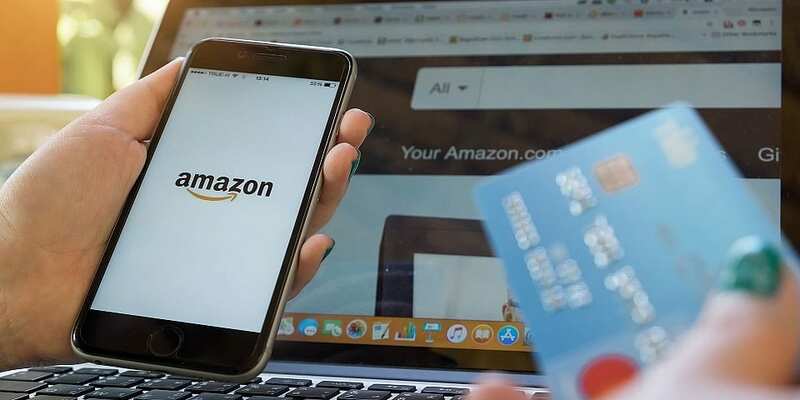 Amazon is offering free delivery to all customers until 5 December as Black Friday and Cyber Monday fever subsides, but how else can you make a saving on your next online trip? Until 5 December, you can get free standard delivery with no minimum spend across your Amazon orders. You just need to enter the code FREEDELIVERY at the checkout. Here, Which? takes a look at the other ways you can save at Amazon and whether the retailer should be your main focus when shopping online. If you miss out on Amazon’s free delivery promotion this week, the minimum spend to get free delivery is £20 (£25 for Republic of Ireland customers), unless you’re purchasing books when a £10 limit applies. Delivery costs can range from 99p to £4.49 on larger items so it can sometimes be worth spending a little more to meet the free delivery threshold. The Super Saver Delivery Tool can help you find items on Amazon to fill your basket and bump up your order to the required minimum with no fuss. Amazon Renewed could get you a better deal on pricey gadgets. It sells refurbished, pre-owned and open-box gadgets such as TVs, smartphones, iPads, kitchen appliances and games consoles at a reduced price compared with buying the same items new. All items on Amazon Renewed are inspected and tested by qualified suppliers to make sure they look and work like new. Items purchased are all backed by Amazon’s return policy and a separate one-year limited warranty, so if the product isn’t up to scratch you shouldn’t lose out. Amazon’s prices are always fluctuating, so it can be difficult to know the best time to get the best deal on an item you’re after. Camel, Camel, Camel is a website that tracks Amazon’s prices. It allows you to set the price you want to pay for an item so you can get an alert when it hits the mark. You can also see the price history of an item so you know the best time to nab a deal. Zeezaw is another site that can help you track Amazon’s prices and get alerts about price drops. You may be able to find a better deal for the product you are searching for on one of Amazon’s European sites. Priceonline checks prices across Amazon’s sites in France, Germany, Italy and Spain, revealing when you could better the price of the same item on Amazon UK. The site also checks prices of items sold by Amazon US; however, this is more likely to attract further costs through customs charges. Right now you can earn up to 9% cashback at Amazon when shopping through Quidco or Topcashback. These sites work by tracking your purchases and paying a percentage of what you spend back. Another way to beat delivery costs on Amazon is to pay for a Prime subscription. The service offers free same-day, next-day or nominated-day delivery and a range of other benefits like access to Prime Video, Amazon Pantry and Prime Music. It costs £79 a year or £7.99 a month, but you can check out the benefits for free using the 30-day trial. Just remember to cancel if you find you don’t use enough of the services to justify paying for it. Amazon’s Subscribe & Save service allows you to set up repeat orders for items you typically have to buy fairly regularly, like toilet paper or nappies. If you sign up to the service you can save 5%, or 15% if you sign up to five or more regular orders. It’s easy when shopping online to head straight to Amazon and order. But it’s wise to take a moment to double check whether Amazon is offering the best price for what you want. Google Shopping and sites like Price Spy can help you compare prices for the items you want across a range of retailers.